An aerial view of the Upper Truckee River marsh lands near Tahoe Keys (left). The conservancy's restoration project would reroute river flow from the existing man-made canal by the Tahoe Keys back into the marsh. 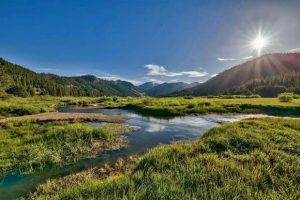 SOUTH LAKE TAHOE, Calif. — The California Tahoe Conservancy took a major step forward in continuing watershed restoration efforts along the Upper Truckee River earlier this month. At a Dec. 18 meeting, the organization’s board of directors approved the final plan to restore over 500 acres of marshland where the Upper Truckee flows into Lake Tahoe, in South Lake Tahoe near Tahoe Keys. When completed, the project will reroute the man-made channel of the river — built for the construction of the Tahoe Keys — back into marshland in the area. 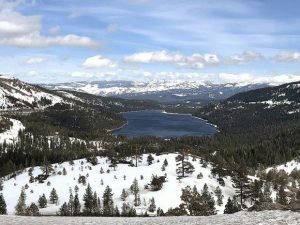 “The opportunity to restore that setting is pretty unparalleled in the Tahoe Basin,” associate environmental planner Scott Carroll said. The project will include filling in the existing canal and redirecting the waterway into a network of channels to restore marshland. 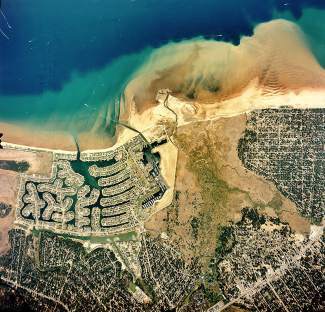 When complete, the project is expected to help improve water quality and lake clarity by reestablishing natural filtration of pollutants and sediments. The plan will also restore substantial plant and wildlife habitat. “The benefit would be substantial,” Roll said. As part of the approval, the board allocated approximately $2.1 million in funds for planning to proceed. According to a press release from the conservancy, the group estimates the total cost of the project to be around $12 million. Funds are expected to come from a combination of grants, state, federal and private entities. “There’s a lot of work that needs to be done before we can break ground,” said Penny Stewart, resources and public access program manager for the conservancy. The board also approved the organization’s environmental impact report associated with the project. “This was the first big hurdle we needed to move the project forward to implementation,” Scott said. With the approval, the conservancy can now actively pursue further funding and necessary land easements. Carroll said the conservancy currently owns all the land necessary to proceed, but could work to gain additional land for easements. The state agency began acquiring land in the marsh in the 1980s and completed a 12-acre restoration — including a trail near the Tahoe Keys Marina — in 2001. 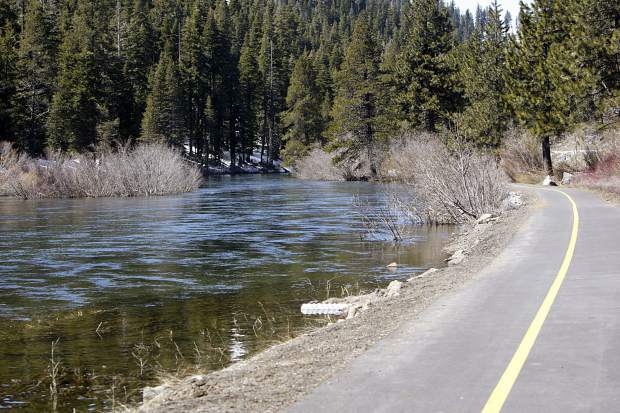 This 500-acre project, between Highway 50 and the lake, is part of a larger interagency effort to restore approximately 9 miles and 1,000 acres of the Upper Truckee River watershed between Meyers and South Lake Tahoe. If the marsh restoration proceeds as planned, conservancy officials estimate they could break ground on the project some time in 2019. “That schedule is still jam-packed,” Carroll said of the process moving forward.